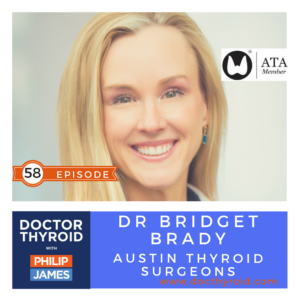 Dr. Bridget Brady is Austin’s first fellowship-trained endocrine surgeon. * Fatigue, hair loss, weight gain, anxiety, and depression. * Imaging has increased thyroid nodule discovery. 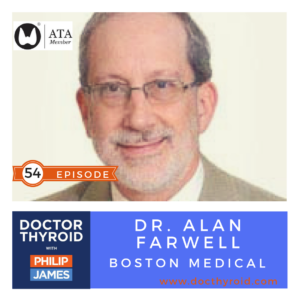 * Following patients with small thyroid cancer ? analogous to prostate cancer. Better followed than treated. 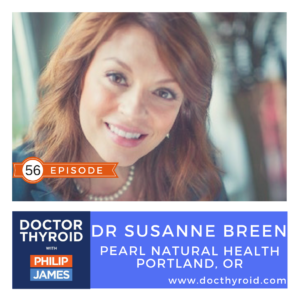 * Tiny thyroid cancers can be defined by those nodules less than 1/4 inch in size. * Less RAI is being used as a part of thyroid cancer treatment. This means, less need to do total thyroidectomy or thyroid lobectomy. * Dry mouth and dry eyes are risks to doing RAI. Also, there is risk to developing a second malignancy. Most of the secondary cancers are leukemia. * Risks to operation include changes to voice and calcium levels. Thyroid surgery is a safe operation but not risk free. * Best question for a patient to ask is, who is my treatment team? Sleep apnea and being tired all of the time and weight gain. 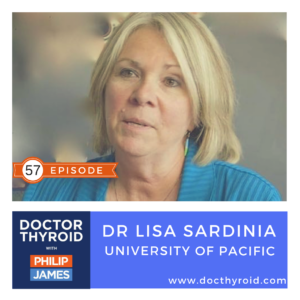 Blood tests diagnose hypothyroidism based on TSH levels, when elevated means it is not working too well. 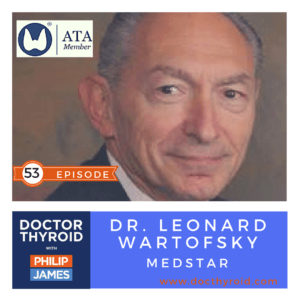 Dr. Wartofsky is Professor of Medicine, Georgetown University School of Medicine and Chairman Emeritus, Department of Medicine, MedStar Washington Hospital Center. 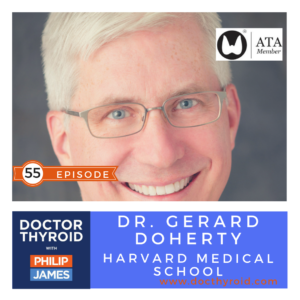 He trained in internal medicine at Barnes Hospital, Washington University and in endocrinology with Dr. Sidney Ingbar, Harvard University Service, Thorndike Memorial Laboratory, Boston. * When is replacement thyroid replacement hormone necessary?